When It Comes to God, What Is Your Understanding? Are You a True Believer of God? To Whom Are You Loyal? The initial work of the three stages of God’s work was done directly by the Spirit, and not by the flesh. The final work of the three stages of God’s work, however, is done by the incarnate God, and not directly by the Spirit. The work of redemption of the intermediary stage was also done by God in the flesh. Throughout the entire management work, the most important work is man’s salvation from the influence of Satan. 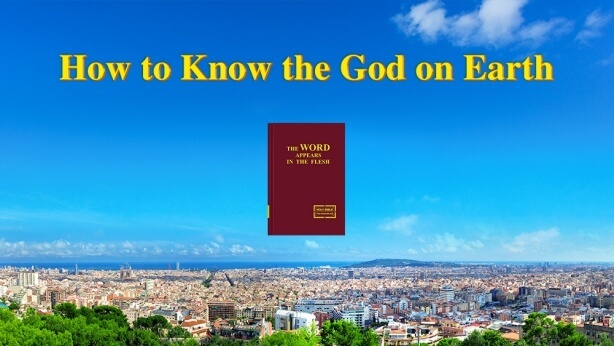 The key work is the complete conquest of corrupt man, thus restoring the original reverence of God in the heart of conquered man, and allowing him to achieve a normal life, which is to say, the normal life of a creature of God. This work is crucial, and is the core of the management work. In the three stages of the work of salvation, the first stage of the work of the law was far from the core of the management work; it only had the slight appearance of the work of salvation, and was not the beginning of God’s work of saving man from the domain of Satan. The first stage of work was done directly by the Spirit because, under the law, man only knew to abide by the law, and did not have more truth, and because the work in the Age of Law hardly involved changes in the disposition of man, much less was it concerned with the work of how to save man from the domain of Satan. Thus the Spirit of God completed this supremely simple stage of work that did not concern the corrupt disposition of man. This stage of work bore little relation to the core of the management, and had no great correlation to the official work of the salvation of man, and so it did not require God to become flesh to personally do His work. God in the Age of Law was One who could neither be seen nor touched by man. He was merely leading men first corrupted by Satan, and He was there to instruct and shepherd these men, so the words He spoke were only of statutes, ordinances, and common knowledge of living life as a man, and not at all of truths that supply the life of man. The Israelites under His leadership were not those deeply corrupted by Satan. His work of law was only the very first stage in the work of salvation, the very beginning of the work of salvation, and had practically nothing to do with the changes in the life disposition of man. Therefore, there was no need at the beginning of the work of salvation for Him to assume a flesh for His work in Israel. This is why He required a medium, that is, a tool, through which to have contact with man. Thus, there arose among created beings those who spoke and worked on behalf of Jehovah, and this is how the sons of man and prophets came to work among man. The sons of man worked among man on behalf of Jehovah. To be so called by Him means that such men set forth the laws on behalf of Jehovah and they were also priests among the people of Israel; such men were priests watched over, protected by Jehovah, and worked in by the Spirit of Jehovah; they were leaders among the people and directly served Jehovah. The prophets, on the other hand, were those dedicated to speaking on behalf of Jehovah to men of all lands and all tribes. They were also those who prophesied the work of Jehovah. Be it the sons of man or the prophets, all were raised up by the Spirit of Jehovah Himself and had the work of Jehovah in them. Among the people, they were those who directly represented Jehovah; they worked only because they were raised up by Jehovah and not because they were the flesh the Holy Spirit Himself was incarnated in. Therefore, though they similarly spoke and worked on behalf of God, those sons of man and prophets in the Age of Law were not the flesh of God incarnate. During the Old Testament Age of Law, the great number of prophets raised up by Jehovah spoke prophecy for Him, they gave instructions to various tribes and nations, and foretold the work that Jehovah would do. These people who had been raised up had all been given the Spirit of prophecy by Jehovah: They were able to see the visions from Jehovah, and hear His voice, and thus they were inspired by Him and wrote prophecy. The work they did was the expression of the voice of Jehovah, it was the work of prophecy that they did on behalf of Jehovah, and Jehovah’s work at the time was simply to guide people using the Spirit; He did not become flesh, and people saw nothing of His face. Thus, He raised up many prophets to do His work, and gave them oracles that they passed on to every tribe and clan of Israel. Their work was to speak prophecy, and some of them wrote down Jehovah’s instructions to them to show to others. Jehovah raised these people up to speak prophecy, to foretell the work of the future or the work still to be done during that time, so that people could behold the wondrousness and wisdom of Jehovah. In the Age of Law Jehovah did part of God’s work, after which He spoke some words and did some work through the prophets. That is because man could stand in for the work of Jehovah, and the seers could foretell things and interpret some dreams on His behalf. The work done in the beginning was not the work of directly changing man’s disposition, and was unrelated to the sin of man, and man was required only to abide by the law. So Jehovah did not become flesh and reveal Himself to man; instead He spoke directly to Moses and others, made them speak and work on His behalf, and caused them to work directly among mankind. The first stage of God’s work was the leadership of man. It was the start of the battle with Satan, but this battle had yet to officially begin. The official war with Satan began with the first incarnation of God, and it has continued right up until today. The first instance of this war was when God incarnate was nailed to the cross. The crucifixion of God incarnate defeated Satan, and it was the first successful stage in the war. When God incarnate begins to directly work the life of man, this is the official start of the work of regaining man, and because this is the work of changing man’s old disposition, it is the work of doing battle with Satan. The stage of work done by Jehovah in the beginning was merely the leadership of man’s life on earth. It was the beginning of God’s work, and although it had yet to involve any battle, or any major work, it laid the foundation for the work of the battle to come. 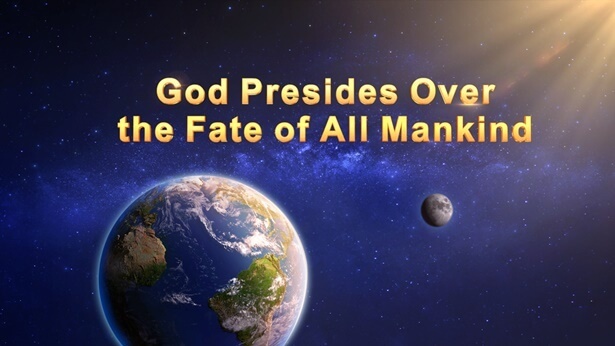 Human development and progress is inseparable from the sovereignty of God, and the history and future of mankind are inextricable from the designs of God. If you are a true Christian, then you will surely believe that the rise and fall of any country or nation occurs according to the designs of God.